Super Chief Xtra 8 Amp CE is perfect for most home and club layouts. It offers excellent speed control, prototypical consisting, the full range of programming features and much more. Maximum capacity, maximum features, and maximum power. Take it to the Max with Super Chief Xtra 8 Amp CE! DCS200 is the most flexible command station on the market. 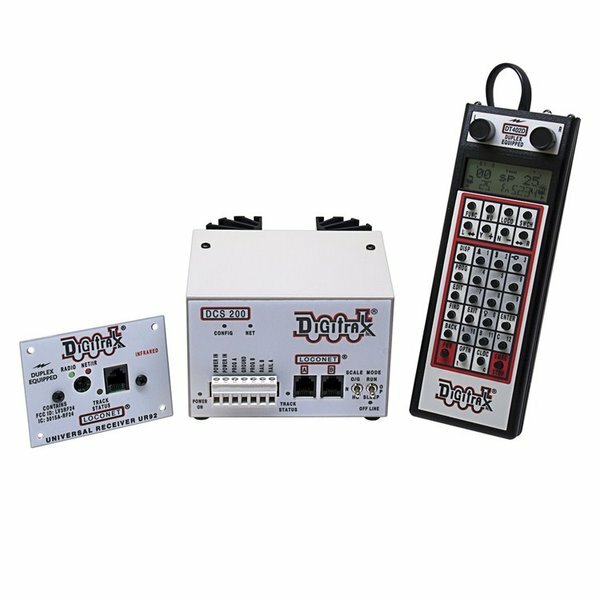 Note: 8 Amp Super Chief Xtra Sets require a power supply that is sold separately by Digitrax or may be supplied by customer. Digitrax recommends using our PS2012 power supply for adequate power for 8 amp systems.